I can't watch Breaking Bad. I've tried—I watched the first season and maybe a few episodes of the second, but I had to stop. It's not that I'm particularly squeamish about violence or language; like most people these days, I think I'm fairly desensitized to all that. I mean, I've seen SVU, you know? What I can't handle about Breaking Bad is watching Walter White, a regular middle-aged white guy, an almost comically ordinary person, sink by inches into a life of horrifying crime. At first he's just trying to make a few extra bucks to support his family—we've all been there—but then, events take a turn and suddenly he's strangling a virtual stranger in a basement. After that scene, I was done with the show. It wasn't the murder itself that bothered me, though it certainly wasn't pleasant viewing; it was how deeply I empathized with and related to Walt. He was a normal person, just like me. Until he wasn't. Watching a character with whom you relate go down a path of utter darkness, well, it starts to make you wonder things about yourself. Walt didn't set out to become a heinous criminal, but it happened. Witnessing his downward slide made me queasy, and queasy is one thing I'm decidedly not looking for in a television show. Sarah Waters's latest book gave me a Walter White feeling in my gut. She too imagines characters that at the outset seem painfully ordinary. 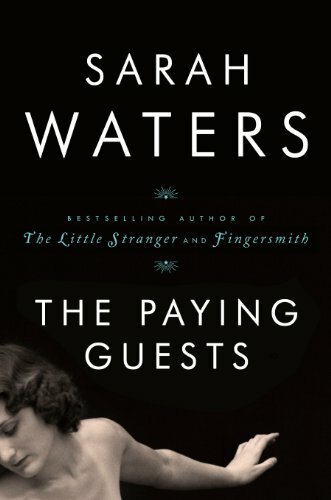 Frances and her elderly mother are cash-strapped following the first World War and the death of Frances's father, and decide to take on boarders (whom they genteelly refer to as “paying guests”) in order to make ends meet. Frances is already spinsterish in her mid-twenties, seeming resigned to a life of housekeeping for her mother. But then the Barbers arrive, and hell very slowly breaks loose. I'll avoid spoilers here because the momentum of the novel depends on a few surprises, but I will say that things get far out of Frances's control. Young married couple Leonard and Lilian Barber are good lodgers, paying rent on time and trying not to disturb their landladies, but before long their lives are so shockingly tangled up with Frances's own it seems they'll never get free of each other. I'm not saying Frances finds herself dealing crystal meth, but her life does change dramatically, to the point that the Frances we know at book's end is hardly recognizable as the same one who was scrubbing floor tiles at the beginning. Waters's prose is lovely, paced just right despite the book's length (around 550 pages). You'll want to read fast to keep unspooling the story, but the beauty of the writing demands deliberation. Frances and her renters are drawn with uncomfortably intimate clarity, and their tragedy, though deeply personal, feels epic in scope. Like Breaking Bad, this is a story of regular people who suddenly aren't anymore. It's difficult and uncomfortable. But I absolutely loved reading it anyway.